Light weight with broad coverage. 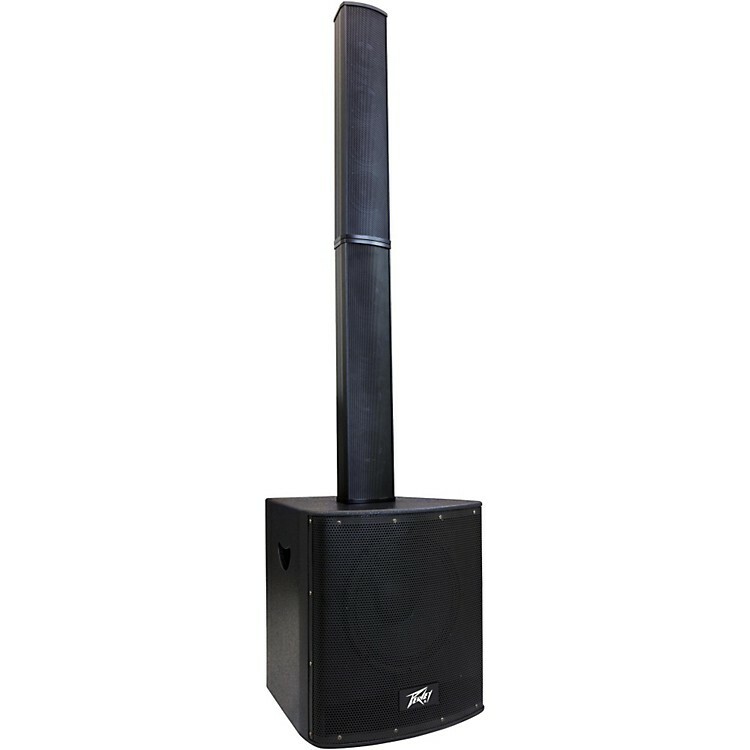 The Peavey P2 powered line array system is the perfect solution to provide a wide audience coverage in a low profile package. With incredible 20Hz to 20kHz amplifier fidelity in a super compact design, this portable PA system delivers clarity and performance previously unavailable in this category. Eight custom 4" drivers deliver pristine clarity whether you are a DJ or a performing artist. The P2's 12" sub is the perfect combination of portability and punch. On board advanced DSP provides optional frequency boost/cut for a variety of audio applications. Order today and bring line array sound reinforcement into your performances.